Instruments hand built for a Daimler Double Six. 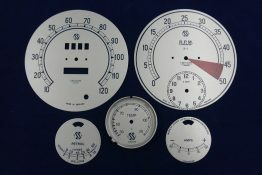 Dial faces printed to an ivory colour to match the original instruments on the vehicle. 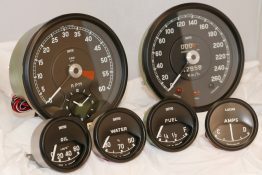 Our replica instruments are manufactured to our customers requirements and are faithful to the original vehicle instrument designs. 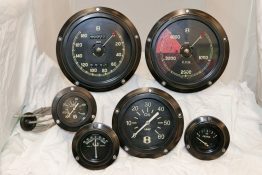 The instrument sets fully enhance the provenance of the donor vehicle whatever the era; vintage, veteran or classic. Our highly trained, skilled staff have well-honed technical abilities and processes that can ensure the full instrument set operates flawlessly in your specific vehicle. We would be very pleased to discuss your requirements and develop the ideal solution to your needs; just contact us by phone or email. 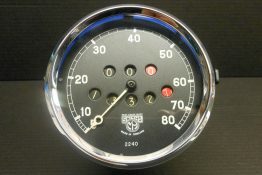 Austin Healey 3000 speedometer repaired and converted to kilometres (reset kilometres to ‘0’) with new dial, chrome bezel and casing. 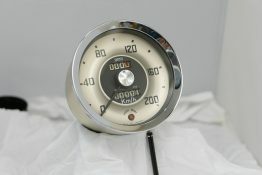 Set of Jaguar E-Type instruments repaired and restored to original condition..
1954 Morris Minor Speedometer overhauled and re-calibrated to customers vehicle which had alterations to the wheels and gearbox. 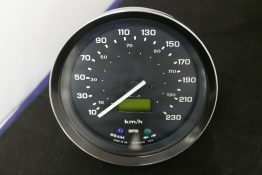 Triumph TR6 speedometer built to customer specification in kilometers the unit has an electronic movement with an LCD screen. 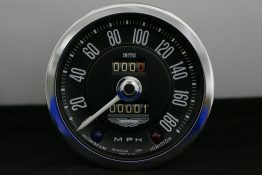 DB5 speedometer pictured above was built completely from scratch using the original Smiths parts. 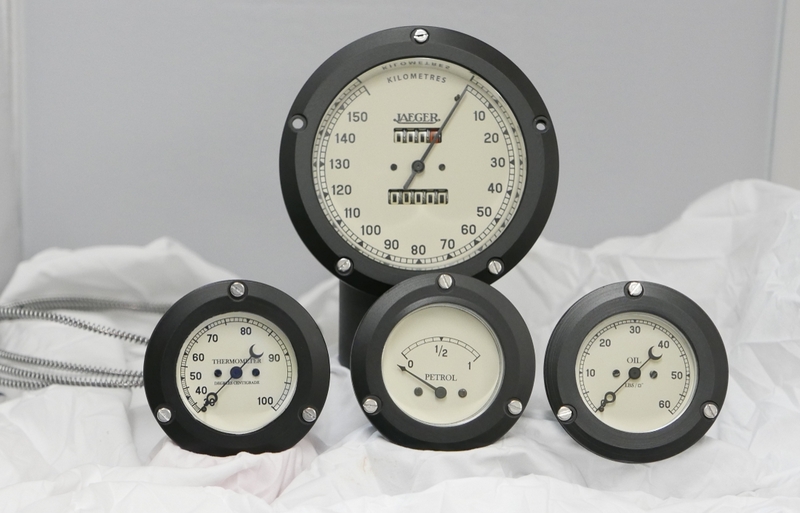 We design and supply the full set of Jaguar SS100 instruments for Suffolk Sportscars and have been producing these instruments for them for over 10 years. 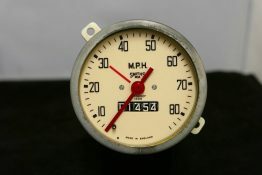 Smiths Governor Type Speedometer Mechanical gauge completely stripped and cleaned. Dial has been reprinted with a new set of counter wheels. Speedy Cables is a long established company and has served the automotive industry for over 60 years. The company Speedy Cables (London) Ltd was registered on the 13th of February 1975 and traded from premises in Islington, London, but its origins go back to a much earlier time when it had non limited status and operated from premises in Marylebone in London’s West End.